NEWPORT NEWS, Va., April 18, 2008 (PRIME NEWSWIRE) -- Northrop Grumman Corporation (NYSE:NOC) announced today that Danny Hunley has been appointed as vice president of operations at its Newport News location, a unit of Northrop Grumman Shipbuilding. In his new position, Hunley will lead more than 8,000 production and maintenance employees and will be responsible for the Newport News labor resource supply chain, all shipyard facilities, manufacturing shops, the Apprentice School, and instructional design and training. He will report to Matt Mulherin, vice president and general manager for the Shipbuilding sector in Newport News. "Danny brings to this position a wealth of experience and demonstrated leadership in production, manufacturing and workforce development," Mulherin said. "He will be instrumental to our success as we continue to focus on continual improvements through workforce training and development initiatives, facility upgrades and manufacturing process improvements." 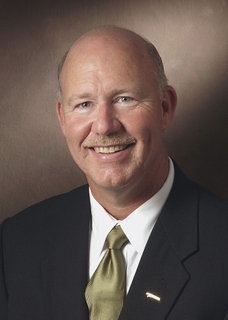 Hunley began his career with Newport News in 1974 as a welder and is an Apprentice School graduate. He also earned a bachelor's degree in business administration from St. Leo College and was the recipient of the Newport News President's Model of Excellence Award for leadership. He has held increasingly responsible positions, most recently serving as vice president of trades, education and training. Hunley assumes the Newport News operations function from Robert L. Gunter, who recently announced his intention to retire. Until his retirement, Gunter will remain on Shipbuilding President Mike Petters' staff, supporting projects related to the Gulf Coast and Newport News integration efforts. "For the past 25 years, Bob has had a stellar career at Newport News," Petters said. "During his tenure, he successfully led operations at the shipyard as well as a wide variety of ship repair projects, tanker construction and the aircraft carrier overhaul and new carrier construction programs. His experience, leadership, talent and community support have been of great value, which he will continue to provide as we build our new shipbuilding organization."